Heist opening line: The thief’s gloved fingers beat against the steering wheel, a rhythm as hectic as the young man’s darting eyes. How does a well-planned heist go so wrong? And what can be done to fix it? Three people are invested in ensuring the diamond sale goes to plan. They are not thieves by profession but one of them is ex-military. And it is his training that could save them from their pursuers. This was an average read with a surprise twist in the tale. I enjoyed the virtual walk through Amsterdam, being familiar with the city. I did not enjoy the abrupt ending however. 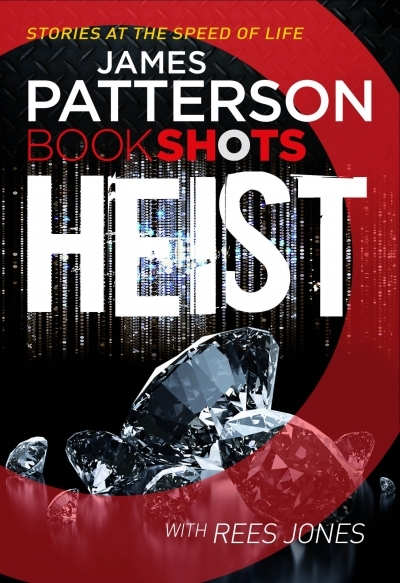 This is another book in James Patterson’s Bookshots. Still haven’t read a James Patterson book yet. These a good reminders for me! I enjoy most of them! Hi Tandy, wondering if This is the first book that Rees Jones has wrote with Mr Patterson? sounds good. Nice and frank review, Tandy.